What's a blockchain? And is it heading for prime time? If, like me, you have been feeling slightly bamboozled by all the noise around blockchain, I thought it might be worth putting together a brief primer on what blockchains are and how they might be used. Blockchain started out as a “system of record” for Bitcoin. Simply put, if I give you a Bitcoin, how can the transaction be verified as having taken place? The answer is for a third party to oversee the creation of a block — a package of data containing not only this, but multiple other transactions and some ‘other stuff’ to enable the authenticity of the block to be proved. As it happens, transactions don’t have to involve the transfer of bitcoins, they could represent any event — say (and why not), a declaration of undying love. Once the transaction has been added to the system of record, it is duplicated across every computer storing a copy of the blockchain. Indeed, any piece of information can be captured and stored as a blockchain event: once created, the record will exist for as long as the concept of the blockchain exists. Equally, the virtual world has room for more than one blockchain. 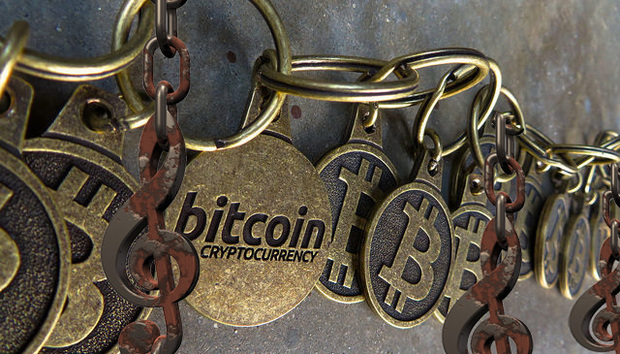 Bitcoin has its own, and other crypto-currencies have theirs. Some blockchains (such as Ethereum) were founded to store information about both transactions and what has been termed ‘smart contracts’ — that is, programmable code that defines when a transaction should take place, or links to where and when an item was created. As a result of both their indelibility and programmability, blockchains have been seen as a way of managing a whole range of situations and transactions. Of course money transfers (crypto- or traditional currency) but also such situations as preventing forgery and pharmaceutical fraud, as an identifier associated with an item (a painting or a drug) can be proven to be correct. In other words, if you want to listen to a song you have a mechanism which enables me to directly and automatically pay the artist, and enables the artist to set the price, then directly and automatically pay other people involved. When used in this way the whole process, and resulting transactions, can become completely transparent and verifiable. Such mechanisms have the potential to deliver a new era of fairness in terms of how artists are recompensed, thinks Imogen Heap, whose new single was released last Friday with a Bitcoin pay-what-you-like mechanism. “I dream of a kind of Fair Trade for music environment with a simple one-stop-shop-portal to upload my freshly recorded music, verified and stamped, into the world, with the confidence I’m getting the best deal out there,” says the artist. Numerous challenges lie ahead, not least that current blockchain mechanisms were not designed to handle the volumes of transactions, nor resulting sizes of records, that could result from mass adoption in such a wide variety of domains. Equally, blockchain tools can just as easily be used by incumbent organisations and intermediaries as altruism-oriented startups; it is by no means clear, for example, that music consumers will default to more artist-friendly models. These are very early days. It is neither obvious what platform or tool to deploy to what end, nor are blockchain facilities straightforward for end-users to access— yet. Skills in blockchain design and integration into services are in very short supply, as is experience in writing smart contracts that make sense. At the same time, the high levels of interest across such a variety of industries suggests that blockchain-based capabilities will have a considerable role to play in the near future. For better or worse, blockchains are here to stay.